^ Voice, The Atlanta (October 1, 2018). "Legal experts: Cosby should prevail on appeal". The Atlanta Voice | Atlanta GA News. Retrieved April 15, 2019. ^ Saul, Stephanie. "University of Pennsylvania Takes Away Steve Wynn's Honors. 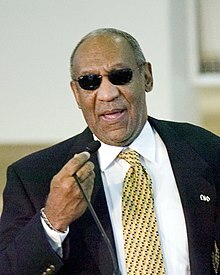 And Bill Cosby's, Too". New York Times. Retrieved February 1, 2018.